With rising costs and time-poor plus money-conscious consumers, the challenge for foodservice professionals, specifically those responsible for ordering an outlet’s staple foods, is ordering the right amount of the right products to avoid throwing profits out with wasted food. Food waste is one of the leading sources of financial worries for foodservice professionals, so here we will explore the best ways to avoid throwing money in the bin along with excess food. It is practically impossible for anyone to order the precise amount of fresh product to meet demand exactly, with no surplus and no undersupply. It is every foodservice professional’s worst nightmare to turn eager customers away when they order a menu item that has run out of stock just that day. After waiting to order and then finding they can’t get what they wanted, those customers are likely to be quite unsatisfied. This is especially relevant to high demand and quick service retail outlets that often cater to a rushed lunch crowd, and workers whose lunch hour is valuable to them. Foodservice outlets are right to worry about losing good reputation, and in turn customers, from being under stocked. However, in order to combat this fear, foodservice professionals often over cater, which can cause different, but just as detrimental issues for the outlet’s bottom line. Sometimes foodservice outlets can accurately anticipate a rise in demand. Those that do anticipate a period of higher demand are clever to order more stock to cater for it, however, any oversupply can also have a negative impact on a foodservice outlet’s financial performance. If stock - fresh bread for example - is not used it cannot be kept for long before becoming stale and unable to be served, especially when trying to use the freshest possible ingredients. 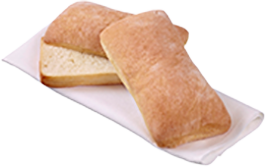 Every loaf of bread wasted takes profit margins with it and soon it can feel like throwing money in the bin. 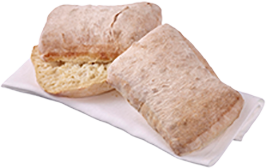 Foodservice outlets who are conscious of always serving fresh bread must look for other alternatives to combat the oversupply and waste issue. Shifting to a reliance on frozen bread allows outlets to better manage stock while also catering to changing daily demand for product. 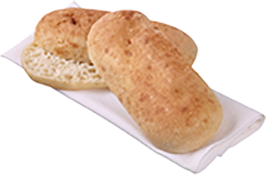 The best strategy for achieving a fresh bread taste, as a time-poor or space-confined outlet, without compromising on quality or customer expectations is employing the help of versatile pre-baked breads. With the ability to thaw or flash bake in just minutes, the Speedibake range is ideal for outlets without baking facilities, who want to meet demand for just-baked gourmet breads. 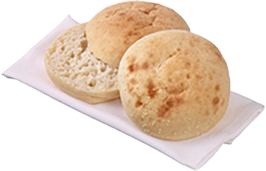 Adding significant service benefits for busy outlets, the breads can also be flash baked in mere minutes, reducing the baking time to just 50% of traditional par-baked breads. This makes them a quick-to-table alternative without compromising on taste, or creating added waste. These significant time saving and service benefits mean they are unlikely to be caught short and unable to service customers. When ordering traditional par-bake bread, smaller outlets often must sacrifice having a range of rustic and artisan breads on hand as they need to buy product in bulk. This creates a bland range of breads that in turn create uninspiring sandwiches. Outlets should look for ranges that offer frozen artisan breads to keep menu offerings interesting. Look for Turkish, ciabatta, sourdough or Panini. Flash baking these products on-site creates the irresistible aroma of just-baked bread and an attractive crisp crust. With a delicious rustic bread option, outlets will be spoilt for choice not stuck with the usual white, grain and wholemeal.